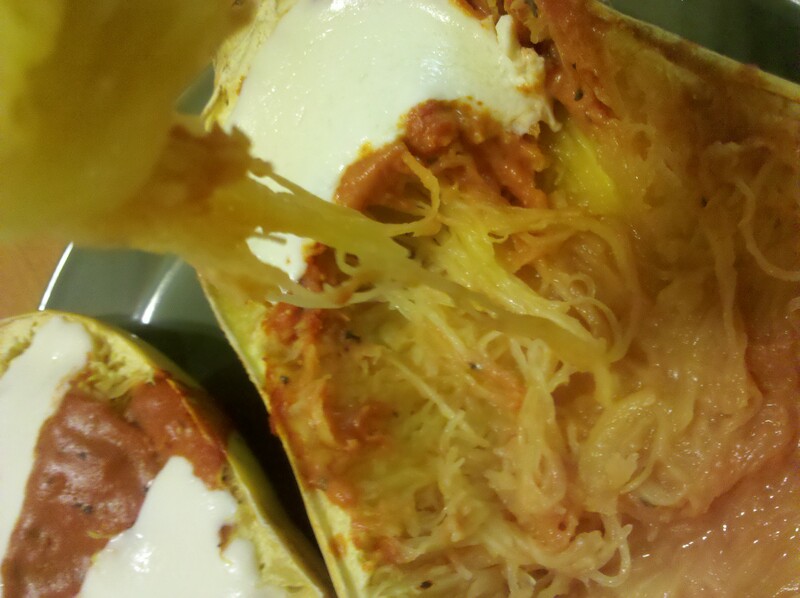 A healthy version of Spaghetti and very delicious! 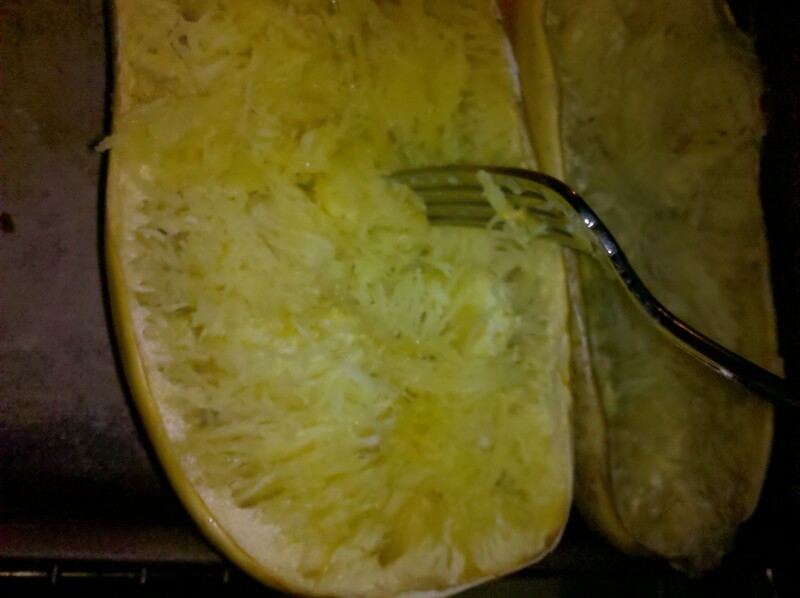 Slice the squash in half, drizzle a little olive oil, salt and pepper. Bake at 350 for about 1 hour or until you can fluff it with the fork and it comes out looking like Spaghetti. Top with your favorite sauce. I used red sauce. You can serve it on the squash itself. It is kind of cute that way! I added some fresh mozzarella slices on top. Bok Choy, also known as Chinese Cabbage is a great vegetable to use for soup, stir-fry and other side dishes. 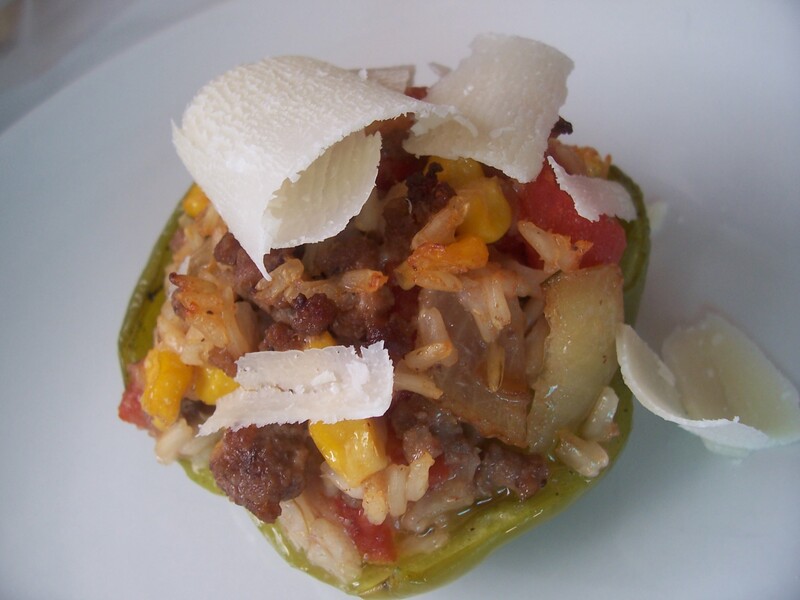 Here is how I like to make it as a side dish. Slice the Bok Choy and rinse it well. In a frying pan heat the oil, add chopped garlic and let it get some color. 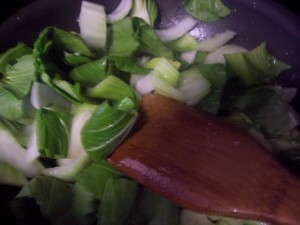 Then add cut Bok Choy. I like to add the stem cuts first and sear them for about 2 minutes before I add the leaves. Let is cook until it is nice and tender. Basics: Before you start, make sure you trim the artichoke. Cut just a little bit of the top and trim the leaves a bit. Then wash it well under cold water. 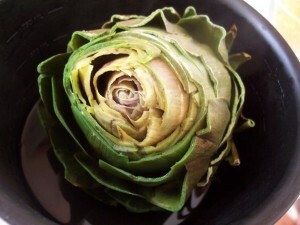 If you are going to use the artichoke as a serving dish you may also want to trim the bottom so it stands well. 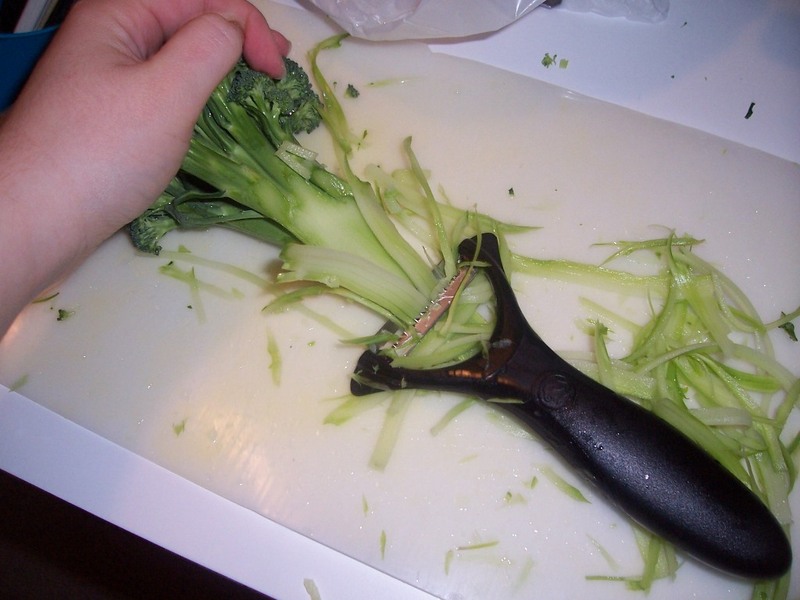 If you don’t need it to sit then go ahead and peel the outer side of the stem. The stem is a continuation of the artichoke heart so cook it and enjoy it. Boil: In a large sauce pan, bring water to boil. Add a little salt and add artichoke. 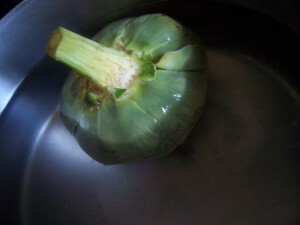 Cover and boil it for about 45-50 minutes. 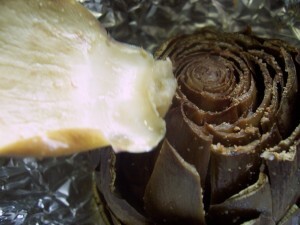 It will be done when you can insert a knife in the bottom of the artichoke easily. If your artichoke is small, keep an eye on it. You don’t want to over cook it. Steamed: Just like any other vegetable. Add a little bit of water to your pan, using a steamer, steam your artichoke until a knife can easily be inserted in the bottom of the artichoke. Baked: I separated the leaves a little bit and seasoned the artichoke with 1 t rock salt, 2 t garlic powder and a little drizzle of olive oil. Then I wrapped it in foil. I used 2 sheets of foil to make sure it was nice and closed. Bake in a 350 oven for about 1 hour. It is just like baking a potato. 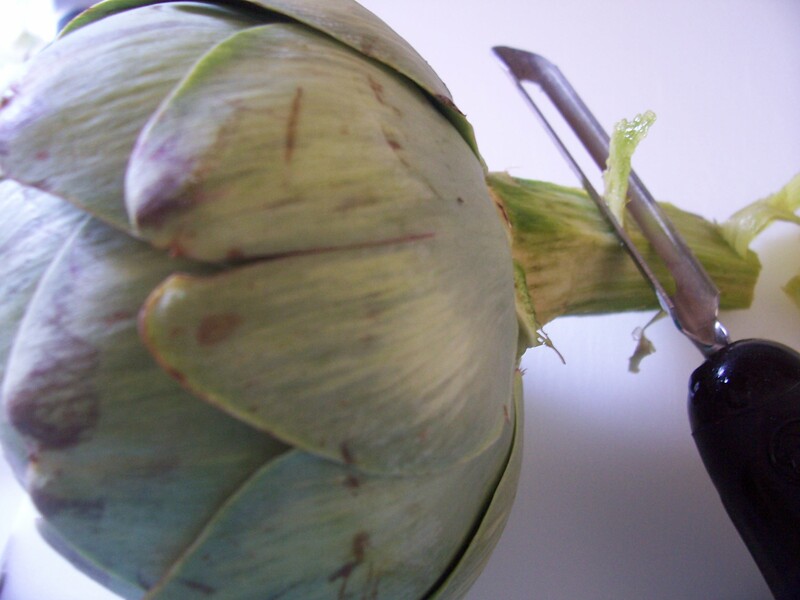 It will be done when a knife can go on the bottom of the artichoke with ease. Microwaved : Using a microwave safe dish, microwave your artichoke for about 10 minutes on high. Grilled: Cut the artichoke length wise. 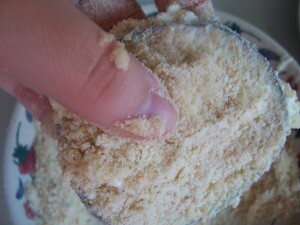 Either steam or microwave it for a couple of minutes just to soften it a bit. Take out the choke (as you can see on the picture). The choke is the fuzzy part. Then season it (olive oil, salt and lemon juice) take it to your grill. Grill the artichoke (cut side down) until they get a good color and are nice and tender. 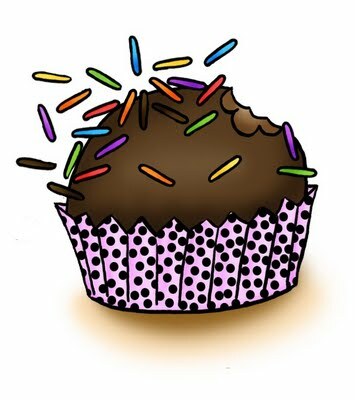 How to eat it: Now the best part right??? Serving an artichoke for company is very nice. It is healthy and it looks very fancy! To eat it, just pull the leaves out and scrape the bottom with your teeth. 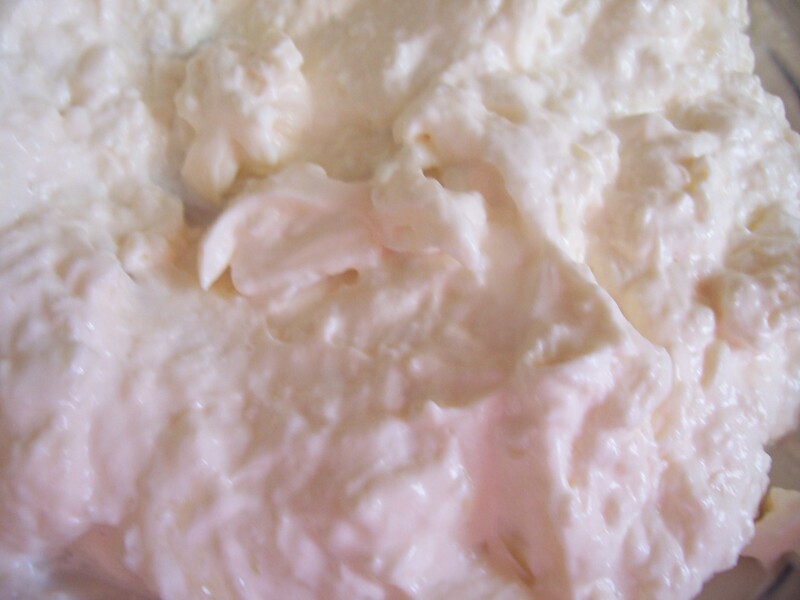 You can serve it in place of tortillas with your favorite dips, or you can serve it with melted butter. YUM!!! It is also delicious by itself. 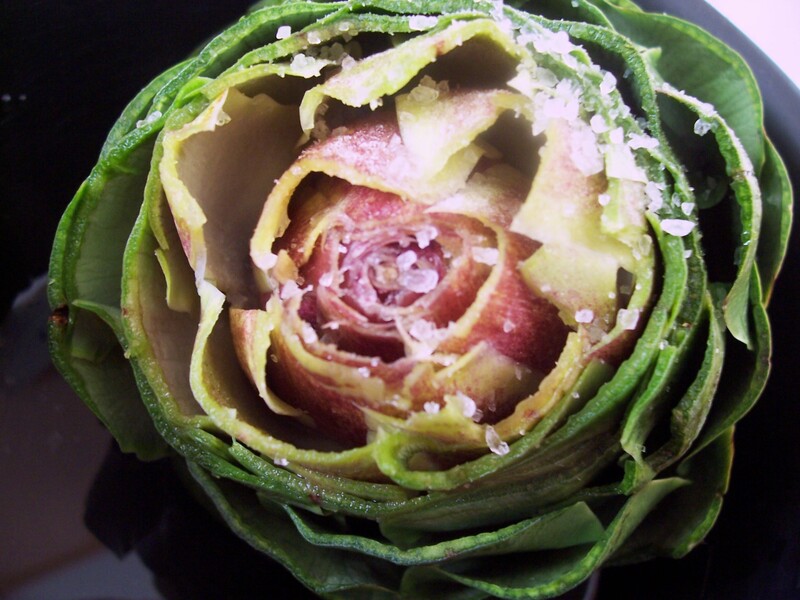 After you are done with the leaves, you will get to the artichoke heart. This is the middle of the artichoke. It is nice and soft. You usually see this part used in cooking. Just take the heart out and cut it into fourths. 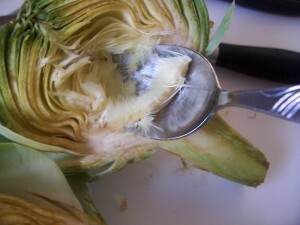 Then scrape the fussy part of the artichoke (called choke) and discard it. Now you can chop the rest and use in your favorite dish. I love to add it to pasta sauces, make a hot artichoke dip or just eat it by itself. It is so good!!! Cut Peppers length wise, remove the seeds found on the inside. Wash it very well. Set them inside of a baking dish. Season the peppers with a little salt and pepper. 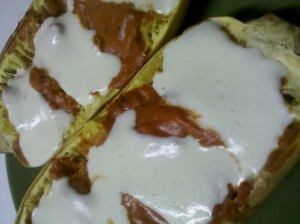 I like to open the tomato can and pour the juices on the bottom of the baking dish. Set aside. Brown ground beef with onions, garlic and oil. Add salt and pepper to taste. In a mixing bowl, rice, beef, corn, shredded Parmesan,tomatoes and green onions. 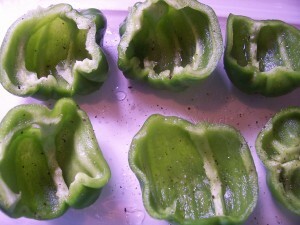 Fill each pepper with this mixture. 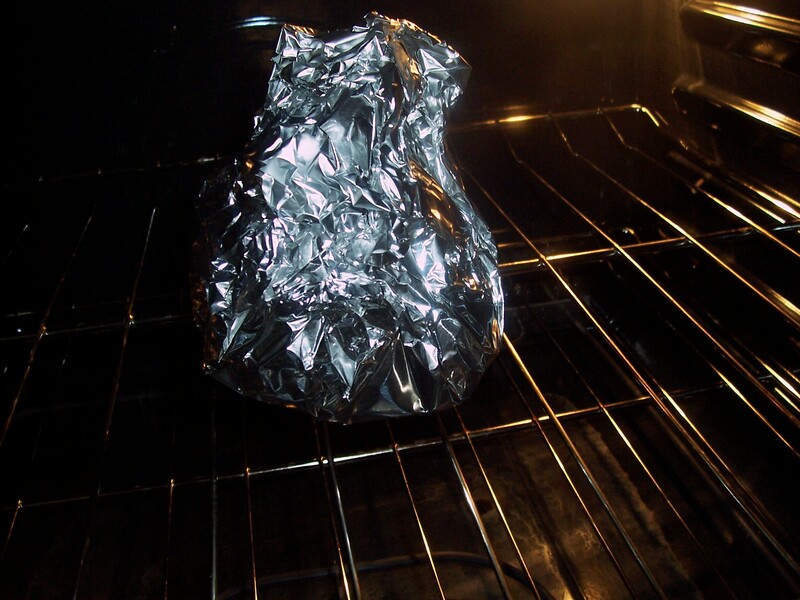 Bake at 350 for about 30-40 minutes. 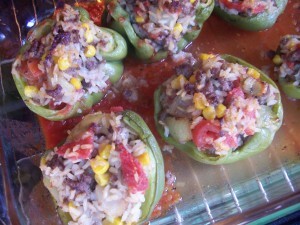 Or until peppers looks cooked. 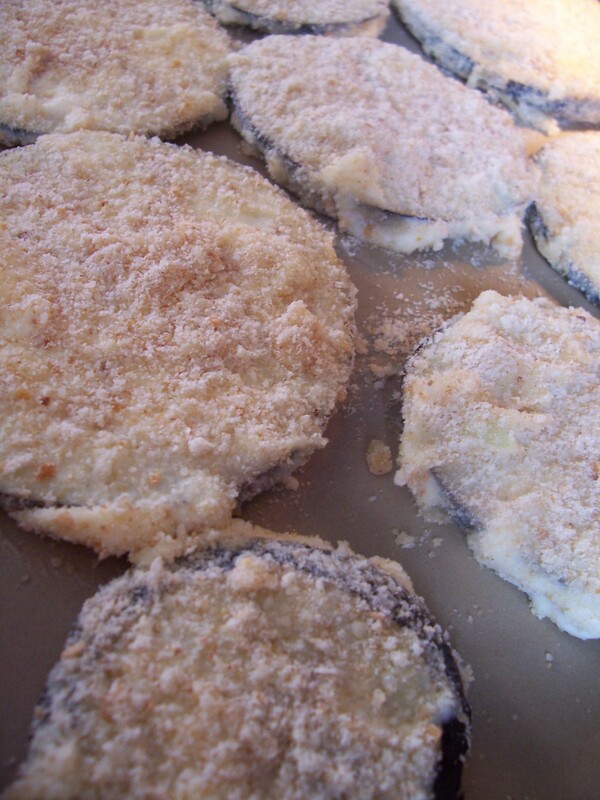 Top with Parmesan Shavings and enjoy! 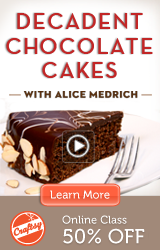 This recipe is my weakness. I really have to watch myself when I make this one. It’s just that good! I still remember the first time I had this at my aunts house in Brasil. (yep it is one of those for me, so good you never forget it). I used to go eat lunch at my aunts house on Fridays. She lived close to my school and I only had time to go to her house before going back for school. The first time she served this I looked at it and thought “oh no eggplant! I will just eat one to be polite”. Yeah right! Needless to say she had to make those for me every week. To this day, every time we go back to visit Brasil she has a whole dish ready, waiting for me… yum! You are going to shred the onion, just like you shred cheese. There will be a lot of juice coming from the onion with the little pieces of onion, so make sure you do this on the plate you will use. 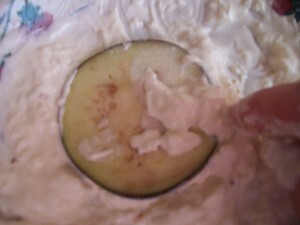 Then, mix with the onion the 1 cup of mayo. This will be the wet mixture for the breading part. 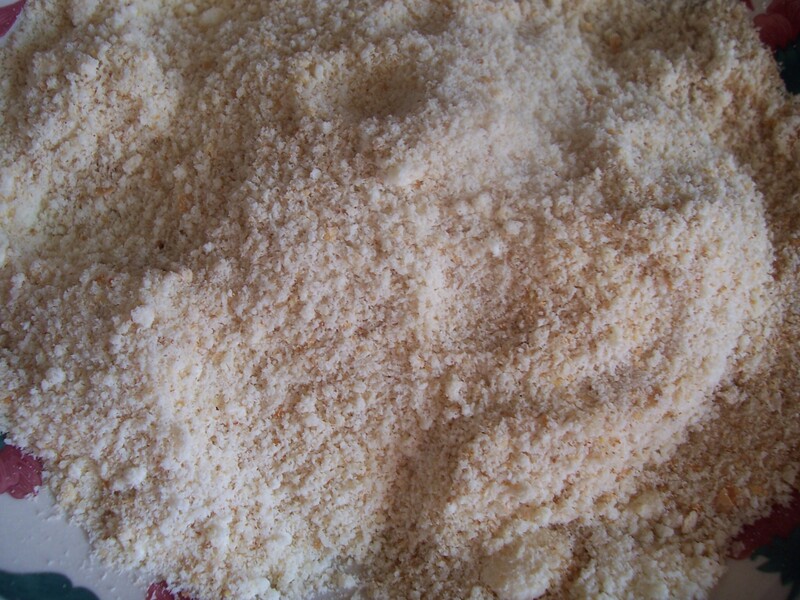 In another plate mix the bread crumbs and the parmesan cheese. Slice the eggplant, quite thin. I then soak them in water just a little bit. Then I pat it dry with a paper towel and start the breading process. First you dip it in the onion mix. Set them aside in a cookie sheet. 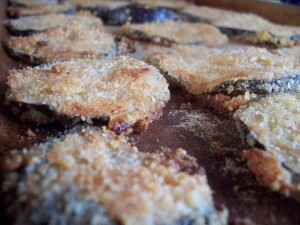 Eggplant Lasagna: Make your favorite lasagna recipe but use the eggplant instead of noodles. Lasagna in Brasil is a bit different than the ones I have eaten in the US. The most traditional type of lasagna uses layers of lasagna noodles, sliced ham, sliced cheese, bolognese sauce, and alfredo sauce. 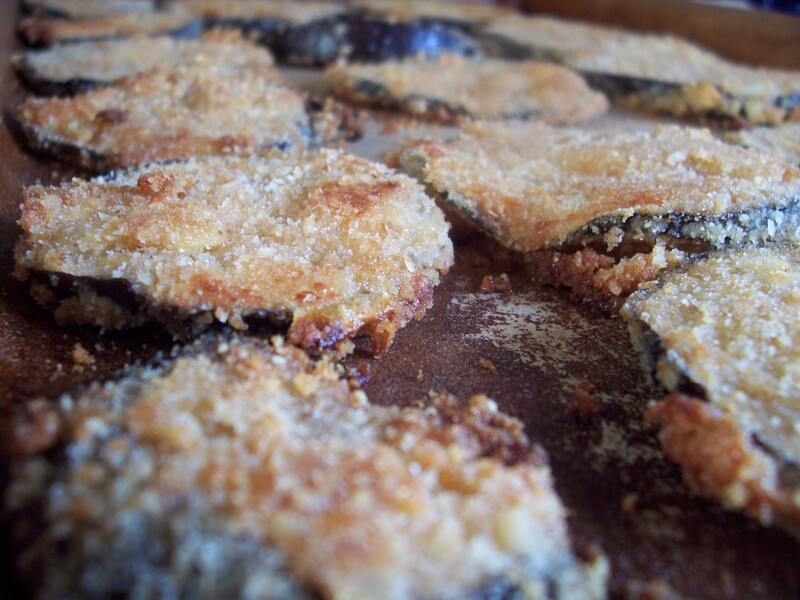 Eggplant Parmesan: Layer slices into a casserole dish, then top with a nice marinara sauce and shredded mozzarella. Keep layering until there is not more eggplant left. I love broccoli, it is full in vitamins C, K and A. It is also a great source of dietary fiber and it is believed to be anti-cancer!!! I also love it because it is easy to cook, you can boil, steam it or even eat it raw. First rinse it well, and then hold the broccoli by the flowers and using a julienne peeler, peel the stalk. This will make broccoli juliennes. Usually this would be the part you throw away, but why not use it right? 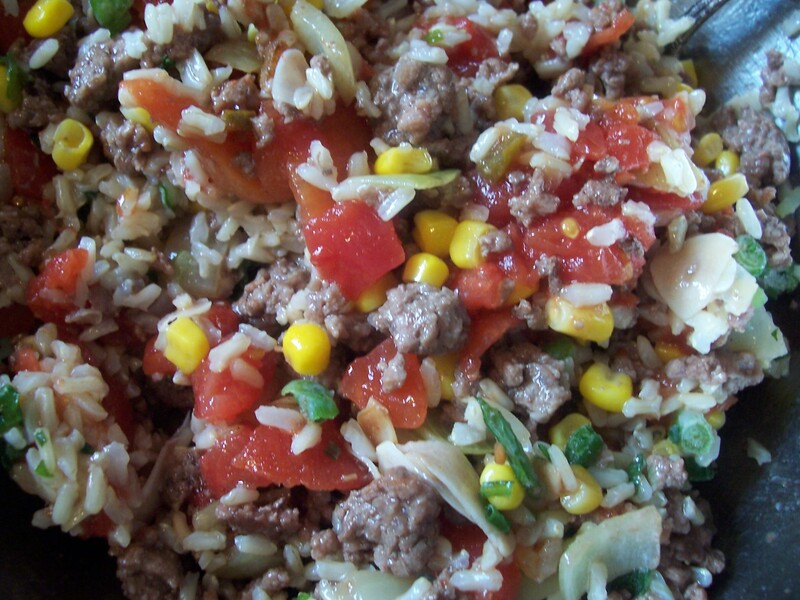 It is great for stir fry, salads or even just add to sauces or pasta.